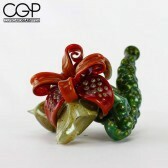 CupboardGlassPipes.com is always committed to bringing you exclusive content and one-on-one interviews from some of the leading Glass Artists. Get to know each artist, and learn more about their own inspirations, techniques and perspectives. A side car is an offset hand pipe that consists of mouthpiece tube with a bowl section coming off the side of it. The name comes from the appearance of a motorcycle with a side car. The term 'side car' is also sometimes used to describe the overall shape of certain bubblers, concentrate rigs, and/or water pipes. 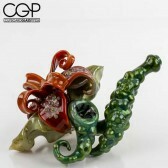 The Cupboard and CupboardGlassPipes.com are based in Cincinnati, Ohio and backed by a family with nearly six decades in the smoking accessory/counterculture industry. With a strong tradition of selling products that allow freedom of expression for our customers; choosing from products that help provide smoking pleasure to products that adorn or pleasure the body, we have always been anything but conventional. Online or off, The Cupboard is known for setting industry trends since our brick and mortar location was founded in 1967. The Cupboard is one of the oldest shops of its type in the United States, and is considered an industry patriarch. Over four generations of friends and customers have enjoyed The Cupboard in Cincinnati, Ohio and now we are bringing that same passion, knowledge, and eclectic selection online to CupboardGlassPipes.com. Copyright © CupboardGlassPipes.com. All Rights Reserved. You must be 18+ to observe or make purchases from this site.